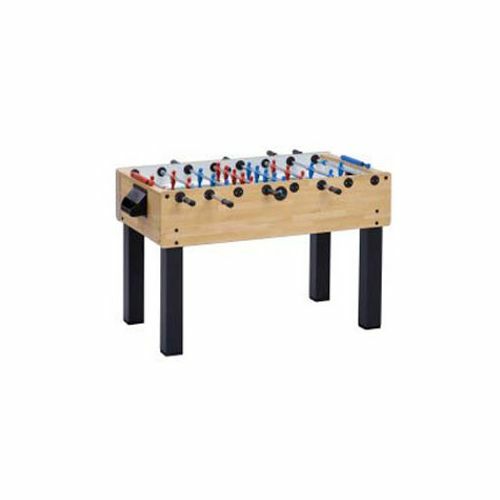 The Garlando F-200 Table Football Table is made of heavy duty materials and uses the latest technologies to create this masterpiece in table football design. The most lifelike playing possible, the super smooth gliding rods provide ultimate responsiveness to the play, whilst the ultra-realistic players and characteristics of the table make you feel like part of the game. Practise your 1-2's, the dribble, the breakaway attacks and much more with this fast-paced action packed game. Since 1954 Garlando has been manufacturing high quality football tables for the most demanding customers. Garlando products are created through an original synergy between the traditional handicraft and the most advanced technologies, fruit of years of research, to offer a pleasant, safe and lasting use. The table is made of heavy duty 20mm thick MDF cabinet with melamine coating in beech wood effect for beautiful styling and superb longevity. 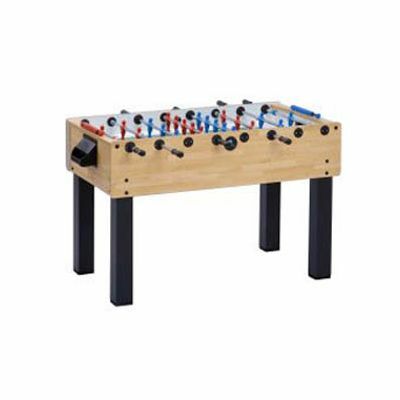 Strong, 9 x 9m square MDF legs with black melamine coating give excellent strength and stability during play and will stand up to even the toughest of tests. Green plastic laminate playing field with silk screen printed white lines for an ultra smooth, professional finish. Gives you the best response every time and most realistic looking table too. 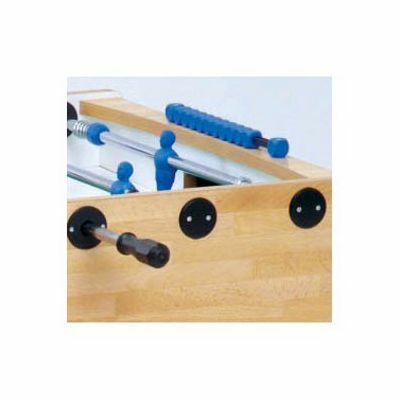 Fitted with 16mm diameter high stress-resistance, telescopic bars. 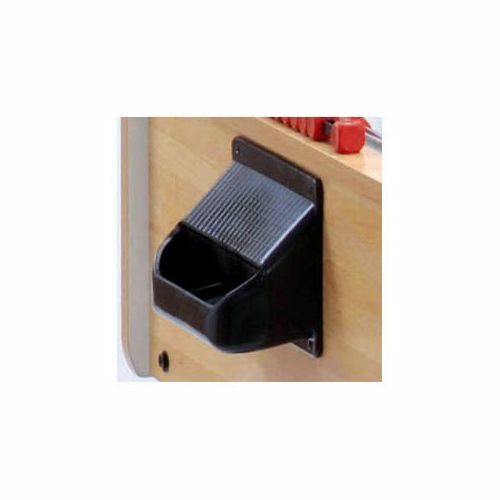 The bar contacts have nylon bushes for high speed, ultra smooth play that feels far superior to regular tables. 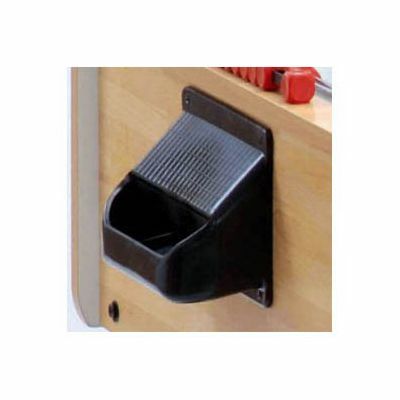 This allows you to react quicker and move the ball faster than ever. Red and blue players are made from unbreakable plastic and are individually fixed to the bars so you can create your own rivalry and enjoy a classic game. 0 to 10 Score Counters at each end allows for easy record of the game's progress. Quick and easy ball recovery from sturdy baskets behind each goal and supplied with 10 white balls means you can quickly recover that lost goal and get the game going again, further adding to the pace of the game. Packing: The carton is designed with strong internal protection for extra safety during shipping to make sure the table reaches you in the best condition possible. after all you don’t want a scratch on perfection! Manufactured in Italy for true style, functionality and design. This table comes with a superb 3 year manufacturer's warranty for ultimate peace of mind, and is testimony to the superb build quality of this product. 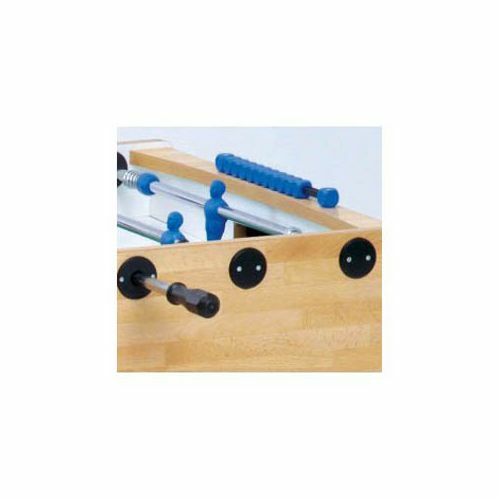 for submitting product review about Garlando F200 Table Football Table.